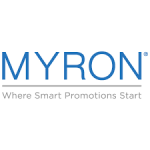 Creating promotional products that help build a business is the specialty of Myron, a company that advertises themselves as the place where smarter promotions are started. Businesses and organizations will have the opportunity to customize literally thousands of different products with their logo, slogan, and on graphic design elements. Customers can also work directly with Myron designers to come up with unique elements that can be printed directly on these promotional items, and bulk quantity discounts are available as well. Free delivery is included on every purchase made online. Visitors to the site can take advantage of a free trial offer to see how the customization services work with their own design.